- There is a limit of 5 courses per order. *There is no limit on the number of orders you can place. *Shipping fees will be charged per order. *Multiple orders cannot be combined. 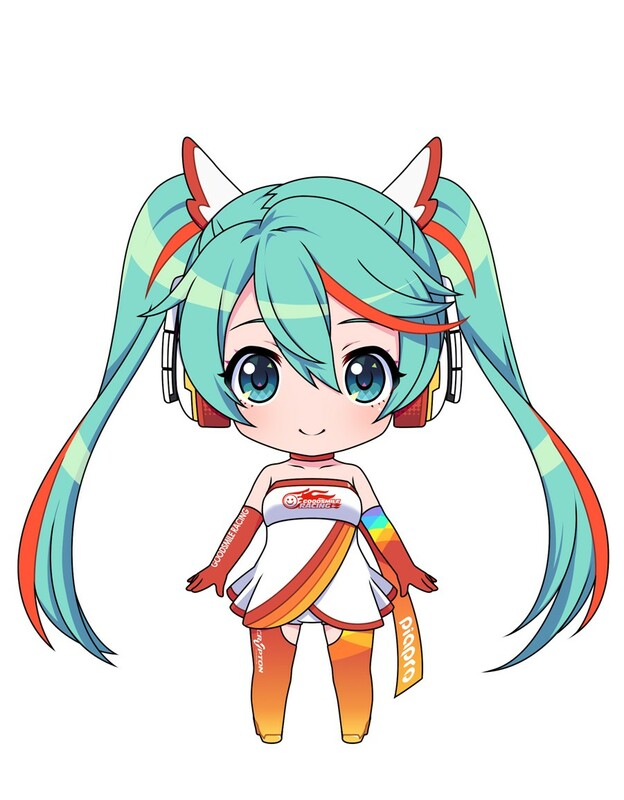 Personal Sponsorship Course for the 2016 season that includes a Nendoroid of the Hatsune Miku GT Project's exclusive mascot character, "Racing Miku 2016 Ver." Registration will be open from Jan. 1 to Feb. 29, 2016. ・Nendoroid Racing Miku 2016 Ver. * Please note that Personal Sponsor Cards are issued 1 per person. If you place more than one Personal Sponsor Course order, only 1 card will be issued. * Please note that if you have ordered any 2016 Personal Sponsor Course, future orders will not includes this benefit. We appreciate your understanding. - Payment accepted via credit card and PayPal. - Payment will be processed at the time your order is placed, not when your special benefits are shipped. - You may be charged additional fees such as import tax when buying from overseas. Please be aware of this before ordering. - Payment will be in Japanese Yen. - Please mail ps-support@goodsmileracing.com if you have any questions. English only please.